Anyhoo here is my digi layout for this fortnight, I called it 'i HEART you' and shot the photo through a toilet roll [obviously a moment of sheer boredom] but love the effect. I also love this digi, it started as a challenge between me and my friend Leanne to try our hand at creating an all white page and as you can see i failed miserably. I dont know what it is but for some reason I can't do it! I think its harder than it sounds. I have attempted 2 pages now and both ended up with at the very least one more colour whether it be grey or the palest of creams, either way I am not sure I am a purest and am certain this challenge is a massive FAIL for me, lol hope you have better luck Lea! Have any of you tried a white on white on white page if so share me some links I wanna see your genius creations! awwww... he is cuteness plus :)... clever chick-a-dee with the toilet roll photo! and my friend.. that page is gorgeous.. and as for the white on white.. nope,i dont htink i could do it! So gorgeous Em!!!! I hope I can do a white on white but I think I won't be able to help but add at least 1 colour!! 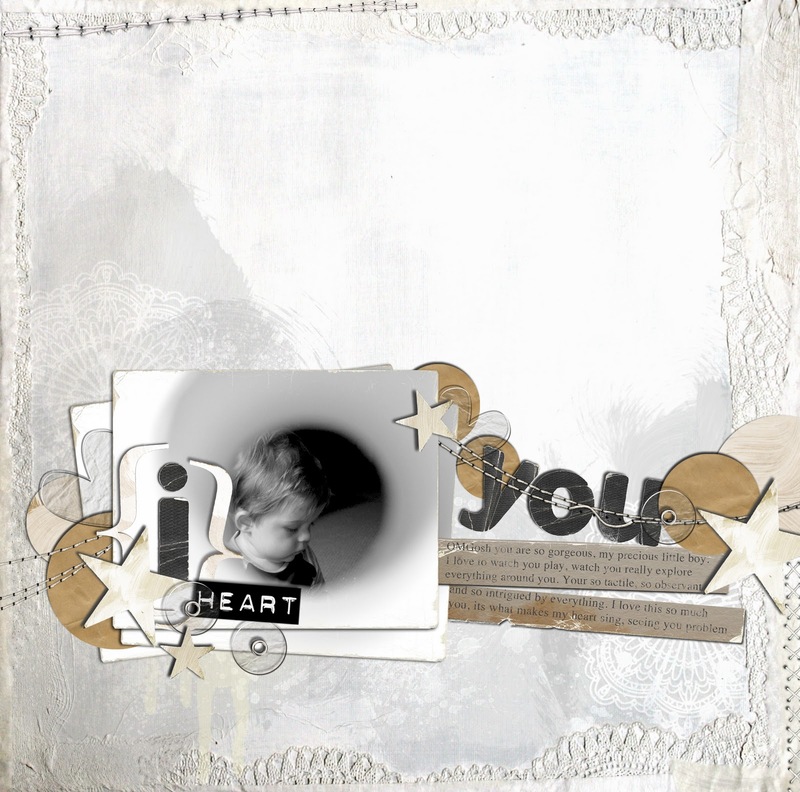 I think I remember White With 1 blog did a white on white challenge once ... wonder if the layouts are still there??? Super gorgeous Em! Just awesome photo technique ...you rock girl. I had a hard time leaving comment here yesterday and now I am back...Gorgeous page Em...totally fabulous and Happy Valentine's Day! Love the border on this LO, I may need to take some inspiration from this for my latest DT Kit. Love your work Em. This is just sooooooooooooooo very cool! Love it!